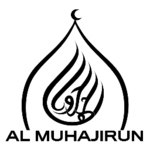 Al-Muhajirun (The Emigrants) is a group that announced itself in Syria in late May/beginning of June 2015, releasing its first statement on June 1 in multiple languages (German, English, Dutch, Turkish and Arabic). It describes itself not as a new group but as a "community of the muhajirun from different groups and with different interests united to show the Ummah and the world the true face of the muhajirun, the mujahidun and jihad." The group references the issue of internecine strife (fitna) in Syria and describes this as a test from God to single out the one steadfast group "with an eager gaze directed towards Masjid al-Aqsa [in Jerusalem] in order to fulfil their duty and establish a Caliphate."